With this latest offering, Ghost is out to prove that they aren't just another flash in the pan amongst the myriad of stoner/psychedelic/70s-fused bands emerging from Sweden recently. Most fans of Opus Eponymous(2010) might just write Ghost off their list of faves as the catchy vibe and cheesy musical references to past great bands are less obvious here. With more focus in place for melodic arrangement of vocals, keyboard parts as well as deeper songwriting. Infestissumam, while still maintaining the unique with tracks like Secular Haze, Year Zero and the surprisingly beautiful, Ghuleh/Zombie Queen, it still serves adequate fanfare through tracks such as Per Aspera Ad Inferi, Body and Blood and Monstrance Clock. It is obvious that with this sophomore release, Papa Emeritus II and The Nameless Ghouls aim to set their mark as a band with their own style and musical identity and not just be referred to as "that Mercyful Fate band". With tracks like Secular Haze, Year Zero and Jigolo Har Megiddo giving a more than a slight tap on the shoulder of 70s pop and disco, it is safe to say that the inspiring force behind this album might just be 70s dance music as compared to the more easily obvious Occult Rock direction of their debut. A personal favourite would be Ghuleh/Zombie Queen and it would serve as the ultimate epitome of Infestissumam stylistically. It begins with a ballad infused piano intro and a cooing Papa Emeritus that stretches for a solid 3 minutes. As weird as that maybe, it's new, it's surprising and it shows depth in Ghost as a songwriting entity. They're not here to satisfy your need for a refresher of the greats in the 70s, they're here to tell you how it would sound like to be a great band from the 70s. Clocking in at 7 and a half minutes, the song gets a tempo boost near the middle and that is where the real fun starts. With a signature chorus hook that pulls you to sing along and worship openly, tremolo doused guitar lines that weaves a nice thread through the instrumental fabric and the cheesy, scooby-snacked keyboard accompaniment that is just uniquely Ghost. Ghuleh/Zombie Queen is definitely a must to listen to. 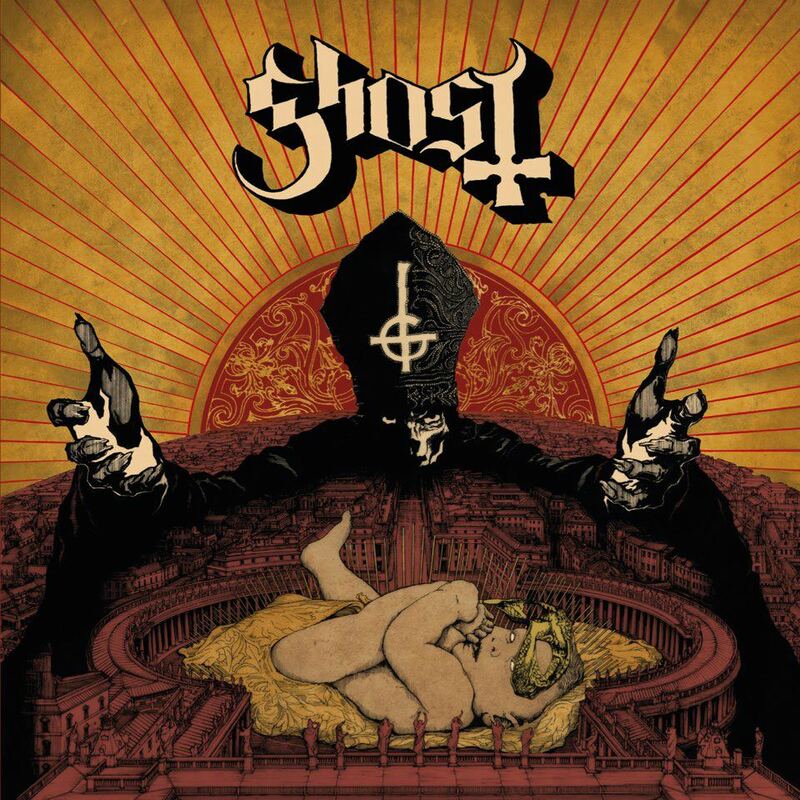 Infestissumam might be abit more of a grower than a shocker in comparison to Opus but that's the root of the scrutiny that this album faces. That being the pressure of doing a repetition of what they have done before and being continuously judged based on a great debut. 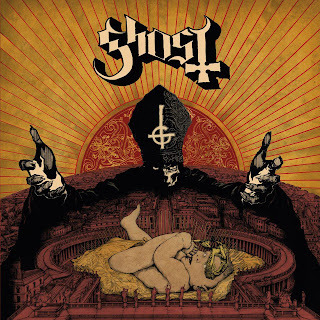 Bands evolve over time and with this album, Ghost's evolution proves that they can do much more than what most would expect. All in all, as enjoyable as the album is, it is not all power and praise as Idolatrine and Depth of Satan's Eyes feels a tad contrived and lacks the sinful attraction of prior tracks. It is, however, saved by the inclusion of closing track, Monstrance Clock, which is another intense ending to a chapter in Ghost's sermon.